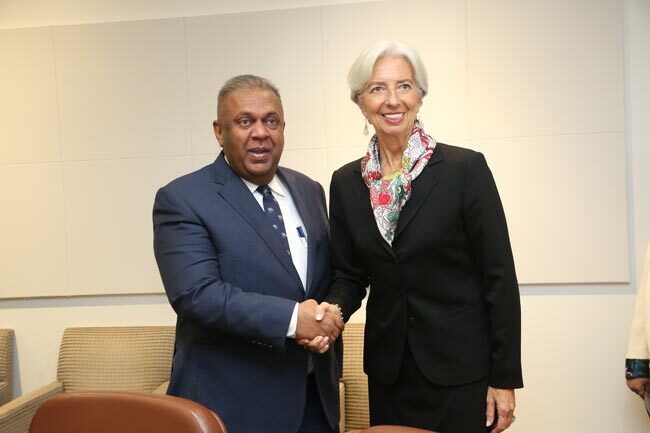 Minister of Finance and Mass Media Mangala Samaraweera called on Christine Lagarde, the Managing Director and Chairperson of the International Monetary Fund (IMF), at Washington, United States of America. Governor of the Central Bank of Sri Lanka, Dr. Indrajit Coomaraswamy and Minister of Economic Reforms and Public Distribution Dr Harsha de Silva, along with Mitsuhiro Furusawa, Deputy Managing Director of IMF, Chanyong Rhee, Director, Asia Pacific Department, Manuel Goretti, Team Leader and other members of the IMF Sri Lanka Team joined the meeting. 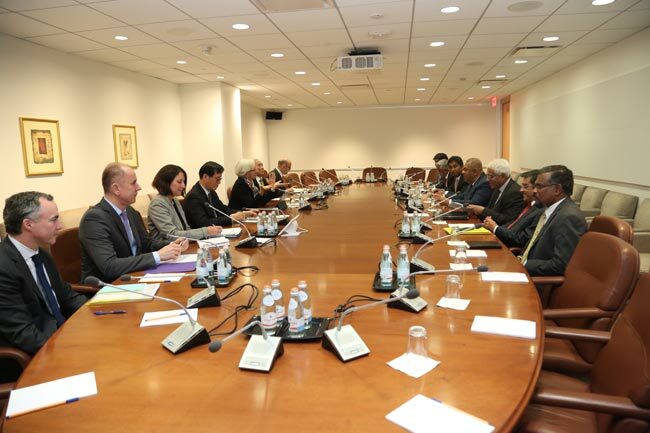 The meeting was conducted to signal the Government’s intention to continue with IMF reform program and a key objective will be to negotiate the trajectory of continued fiscal consolidation while accommodating policies to support growth and strengthen the social safety net. 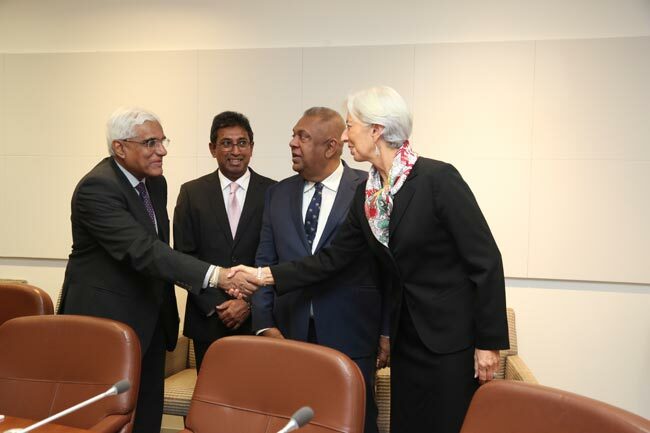 Minister Samaraweera, tweeting on the meeting, stated that the discussions held with the IMF Managing Director were productive and Sri Lanka will remain committed to progressive economic reforms. 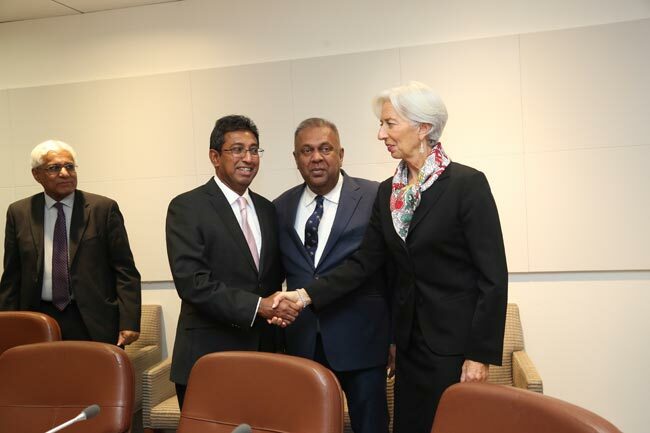 A team from IMF will visit Sri Lanka in February 2019 to resume discussions, according to the Finance Minister. “I was pleased to meet with Minister Samaraweera and Governor Coomaraswamy this afternoon. We discussed the challenging economic environment and the policy priorities for the country. The authorities stressed Sri Lanka’s continued commitment to their economic reform agenda under the IMF-supported program. “We agreed that a strong policy mix, with effective implementation of that agenda, is key to strengthening confidence while putting Sri Lanka on a sustainable, high-quality growth path that would benefit its people.